The vehicle mountable wireless video transmitter SG-30H is the ideal solution for establishing rugged wireless video links in all environments including high-speed motion and urban environments. 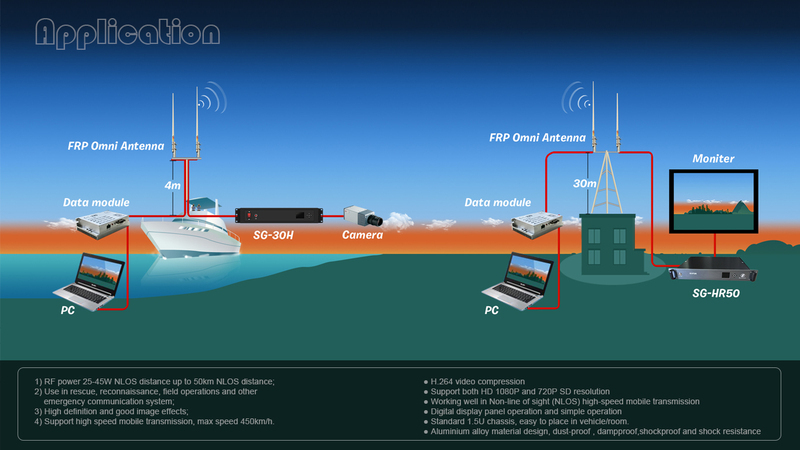 Especially, the latest technologies ofCOFDM modulation and H.264 video compression ensure high quality of NLOS (non line-of-sight) transmission.This system is high-powered and can realize longer transmission range with stable, real-time and high definition images. About the outlook,can be in Rack mount or waterproof housing. 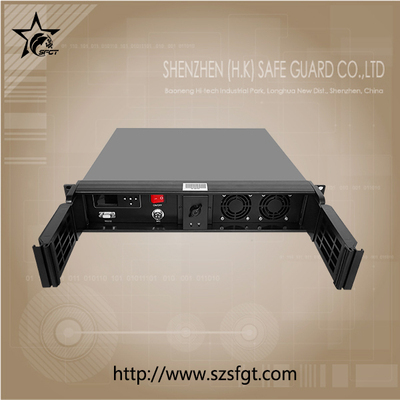 ◆ Inset high-powered amplifier and cooling fans. ◆ Stable transmission with omni-directional antenna. 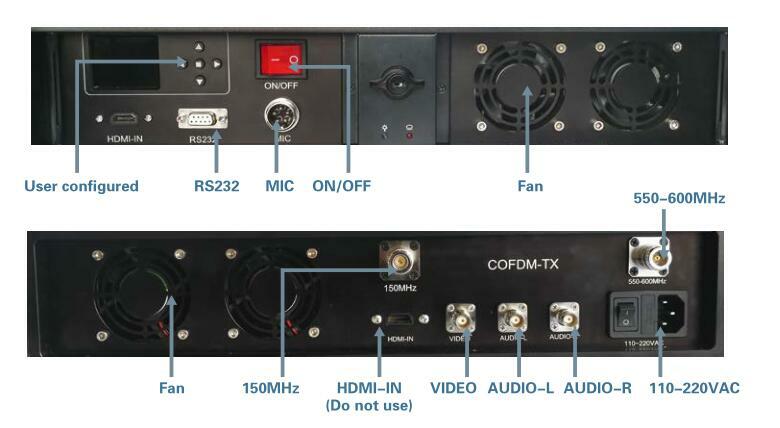 ◆ COFDM modulation and H.264 video compression. 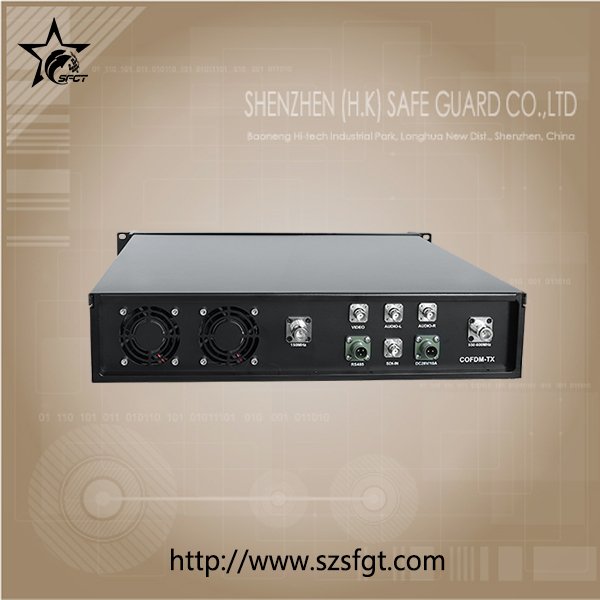 ◆ Rack mountable design, can be installed in a car or helicopter. ◆ Good transmission with high definition image and stereo audio. ◆ Stable transmission in NLOS(non line-of-sight)and high speed mobile condition. ◆ The transmission range is 50-100km in NLOS and more than 100km in LOS(line-of-sight)condition. This product can be mounted in a car or helicopter to transmit real-time audio and video to the commanding center. Suitable for Car to car,boat to boat,vehicle to fixed station,boat to fixed station,helicopter to fixed station Which can be also as a repeater,can go up to 100km LOS/NLOS distance while working with high gain omni-directional antennas.